Michael Nesmith happens to be a former Monkee. But unlike his one-time cohorts, he also happens to be quite talented. You’ll find evldence of that in his songwriting—which has resulted in such delights as the Stone Poneys’ “Different Drum”—and throughout much of this latest solo album. Granted, the artist bares considerable limitations on Infinite Rider. He isn’t exactly a great vocalist; in fact, quite a lot of the “singing” here sounds suspiciously like animated talking. 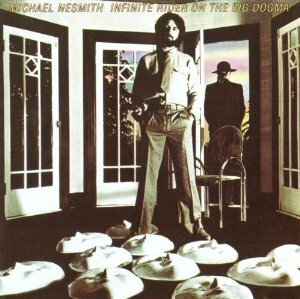 In addition, Nesmith is more journeyman than trailblazer; his mainstream FM rock recalls numerous other acts and evidences no major innovations.